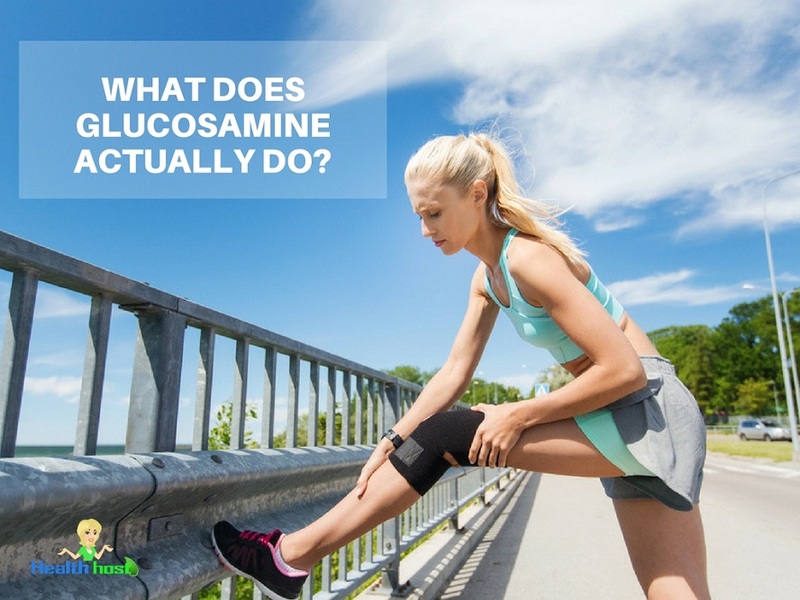 What Does Glucosamine Actually Do? Glucosamine is one of the best-known health supplements on the market, allegedly useful for individuals suffering from joint-related pain. It tends to be particularly popular among arthritis sufferers, many of whom rely on it to control joint pain and improve flexibility. But what actually is glucosamine, how does it work, and what sort of results do people see? Glucosamine is a naturally-occurring compound, found in the bodies of many living organisms. At its most basic, it is a simple sugar much like glucose. Produced within the body, glucosamine makes up an important part of the tough exoskeletons of crustaceans and arthropods. From shrimp shells to the bony outer casing of insects, glucosamine is one of the major building blocks of animals. Glucosamine has some very important roles to play in the human body; specifically regarding joint function. Firstly, glucosamine is an important structural element of the cartilage that helps to protect the ends of our bones where they meet at a joint. In many ways this cartilage can be thought of as a “lubricating covering”, a bit like oiling a squeaky hinge to keep it running smoothly. Alongside this protective layer of cartilage, a second functional element of our joints is the “synovial fluid” – in essence a bag of fluid that helps to cushion pressure on the joints. If we jump off a step and land, this fluid helps to take some of the “jolt” when we land, keeping our joints healthy. Think of it as dropping your phone onto a cushion rather than a paving slab. A major component of this synovial fluid is a compound known as “hyaluronic acid”. Studies have indicated that glucosamine may play a part here; helping to stimulate the production of hyaluronic acid in the body, thus making sure those shock-absorbing cushions are functioning properly. When discussing glucosamine it is important to appreciate that every part of our body is in a constant state of destruction and rebuilding. Even your skeleton isn’t the same now as it was a few years ago; your body is continually being broken down, while new material is being added. Normally, this process of “turnover” creates no problems. With age, however, it can. As we age, this process can become unbalanced, with destruction occurring more rapidly than rebuilding. Thinning bones – known as osteoporosis – is believed to stem from this problem. The same can be said for joints. Fortunately there is some evidence to suggest that glucosamine may help to reduce this process of “breaking down” – keeping joints in better condition for longer. Lastly, inflammation can be a major problem in the body, and is associated with a range of unpleasant diseases. Many forms of arthritis – such as osteoarthritis and rheumatoid arthritis – are also associated with inflammation which can lead to swelling and discomfort. Scientists have found evidence that glucosamine may help to control inflammation in our joints by limiting the activities of cytokines – proteins that are produced by cells as a means of communication, activating an inflammatory response. Think of it like someone signalling an attack using smoke signals; glucosamine helps to put the fire out, meaning the attack is smaller if it happens at all. Glucosamine has been a popular topic for research in recent years, thanks to its potential benefits for arthritis sufferers. Thankfully, this means we have more information than ever before on whether glucosamine actually seems to work. While an exhaustive rundown would would take a book to discuss, it is worth us looking at some of the more interesting discoveries made recently. A major source of joint discomfort – particularly in the knees – is a progressive reduction in joint spacing. This most commonly occurs with age, as the protective cartilage starts to thin. This can not only increase pressure within the joint, but can also makes it more likely that bones will rub. When they do so, pain can increase. Furthermore, when bones repeatedly rub against one another, the body sometimes lays down further bone which can further worsen the situation. There is some convincing evidence that glucosamine may help to protect the cartilage (what scientists call a “chondroprotective” property) thus preventing a narrowing of this joint space. One of the most extensive studies in this respect entailed two hundred patients that were monitored for a period of three years. Before the trial began, the joint space of each volunteer was measured. Thereafter, half the participants took either 1500mg of glucosamine per day or a placebo. At the end of the trial, the joint spacing was measured once again and the results collated. The findings are illuminating. Firstly, the experts found no measurable change in joint spacing among those taking glucosamine, whilst those on the placebo experienced significant reductions. Interestingly, many individuals taking the glucosamine supplement also saw significant improvements in joint pain – with some individuals seeing improvements of up to 25%. As the scientists summarized: “long-term treatment with glucosamine retarded the progression of knee osteoarthritis”. Another study was carried out in China, this time to compare the pain-relieving benefits of glucosamine with the more traditional ibuprofen treatment. Participants were randomly provided with either 1500mg of glucosamine or 1200mg of ibuprofen for a period of four weeks. The findings suggest that glucosamine was equally as effective for relieving joint pain as ibuprofen – but with one important difference. That difference was the side effects experienced by participants. The experts reported that glucosamine was “significantly better tolerated” than ibuprofen, with 10% of the ibuprofen group dropping out while every person taking glucosamine made it to the end of the trial. Other tests have found similar results. In one trial, 200 patients were offered either ibuprofen or glucosamine to help relieve joint pain. An astonishing 35% of participants reported “adverse events” when taking ibuprofen, while just 6% of glucosamine-takers reported any problems. The evidence to date therefore suggests that glucosamine may be just as effective as popular pharmaceuticals for inflammation and pain, but seem to offer far fewer potential side effects. How Do I Boost My Glucosamine Levels? If you’re interested in the potential benefits of increasing your glucosamine levels, the obvious question is how this might be achieved. In truth, the evidence suggests that glucosamine is very difficult to obtain through your diet, no matter how balanced it may be. Broadly speaking the most common sources are either bones (with their cartilage still attached) or the shells of crustaceans. Normally these are boiled down into a bone broth, or ground into a powder to use in recipes. For this reason, most people interested in supplementing their diet with glucosamine opt for a supplement. Glucosamine supplements are widely available from many health stores and in a variety of forms. 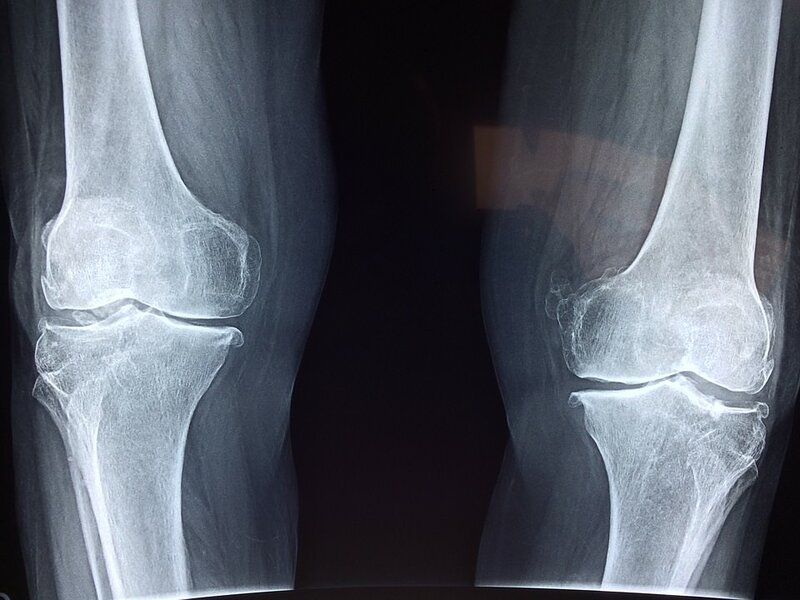 Generally speaking the evidence suggests that glucosamine sulphate seems far more beneficial than glucosamine hydrochloride for alleviating the symptoms of arthritis or more general joint discomfort. As we have seen, glucosamine seems to provide benefits for many people, though for added impact some supplement manufacturers also include chondroitin or collagen which are believed to offer additional joint-related benefits.